Hanoi is the second largest city in Vietnam and continues to experience rapid growth (almost doubling its population since the year 2000). Known for its centuries-old architecture and blend of Asian, Chinese, and French influences, it features a melange of neighborhoods old and new, with a sometimes chaotic network of streets to navigate. 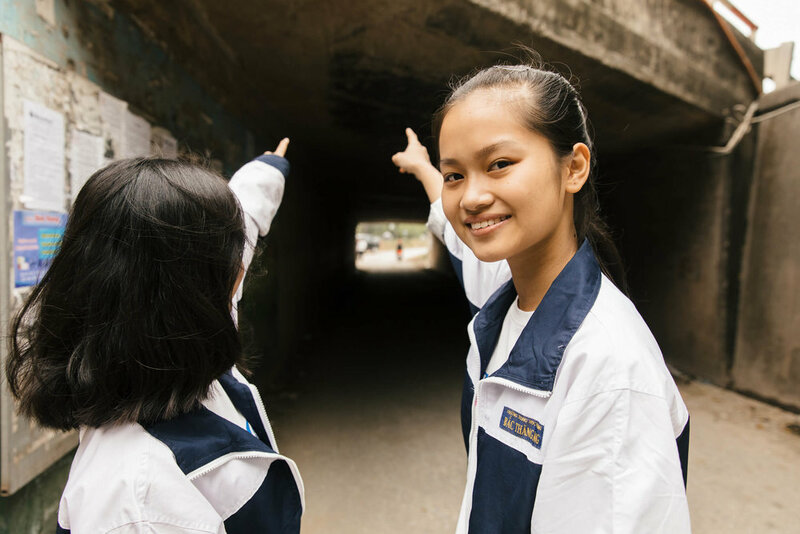 In Kim Chung, one of Hanoi’s working-class neighborhoods, many of the local girls travel miles every day to reach school, through some dangerous, poorly lit areas. This area was selected for special attention, with the goal of engaging the girls who use the space to come up with ideas to make their daily commutes safer and more pleasant. As part of the Block by Block Workshop in early 2017, the schoolgirls did “safety walks” to analyze the area. Common problems that emerged were inadequate lighting, dark corners where criminals could hide, and piles of garbage. One particularly scary area was a tunnel under a five-lane highway where they couldn’t easily be seen or heard if something went wrong. 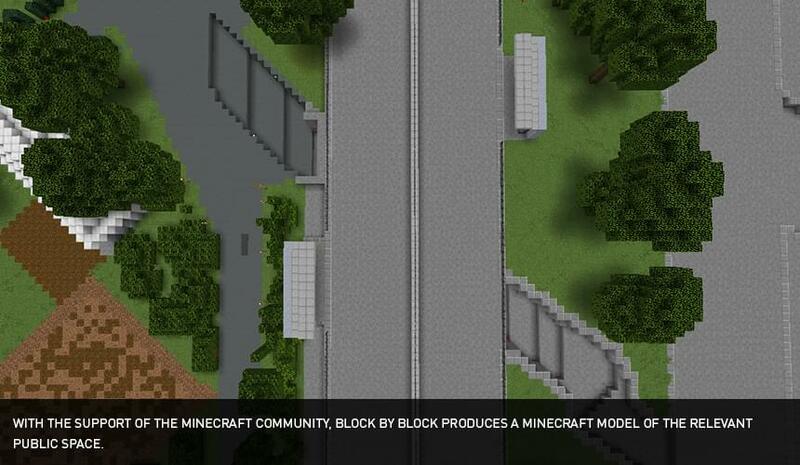 Forty-five of the girls then worked in teams and used Minecraft to reimagine the neighborhood around their school. The plans they created depicted their neighborhood as a safer, more functional place through improvements both large and small. 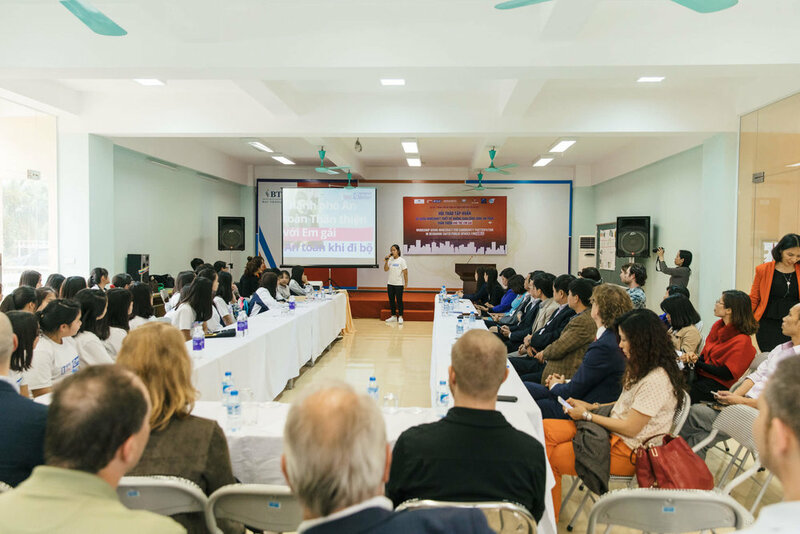 They then presented their ideas to a group of non-government organizations and Vietnamese politicians. Their suggestions included unbreakable streetlights and lighted walkways, installations of trash cans, and improved signage and public restrooms. Additionally, they suggested specific ideas to improve safety in the area, including the addition of women-only coffee shops and shelters, security fences, and a free phone to call for help. 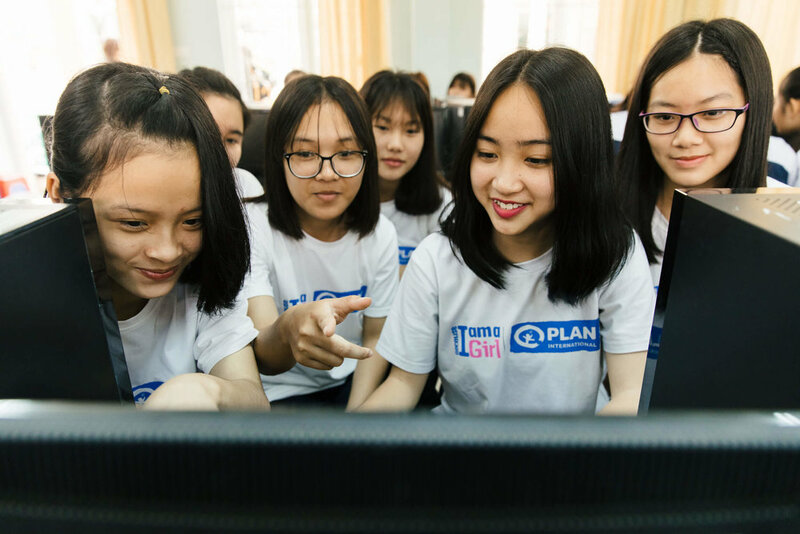 While the exercise provided local leaders with concrete ways to improve the Kim Chung neighborhood, an additional benefit was the way it empowered the girls who participated. 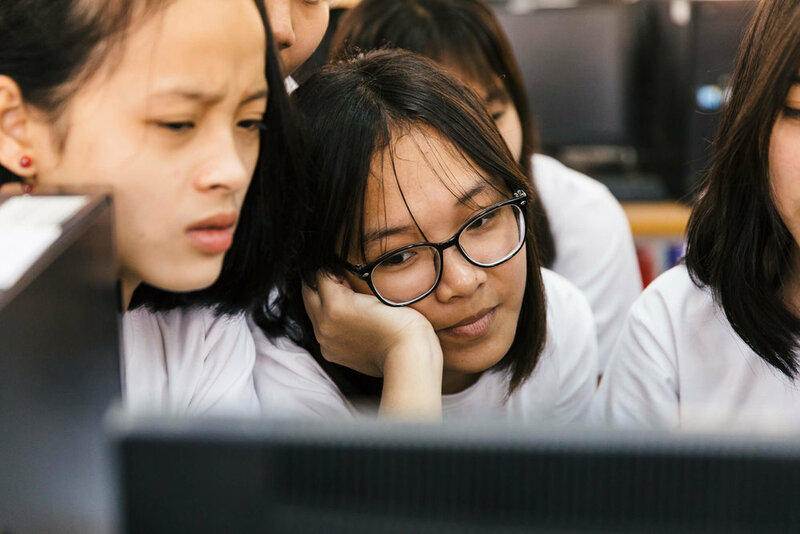 They experienced the confidence-building effects of using technology, presenting their ideas to those in power, and discovering that their views matter and could be a catalyst for change.